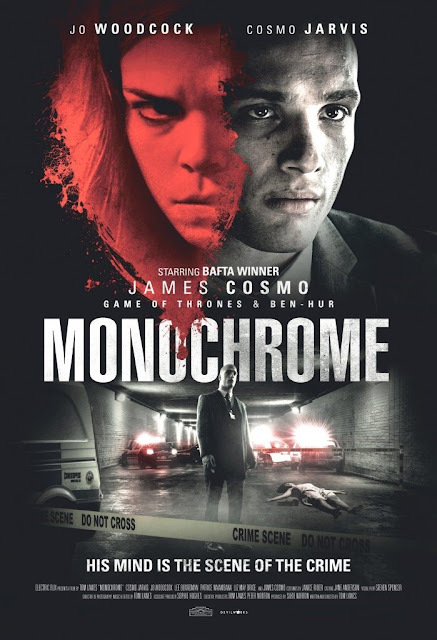 Check out two new clips from serial killer thriller Monochrome. Out June 6 on VOD and DVD. Thomas Lawes’ Monochrome premieres on VOD and DVD this June from Gravitas Ventures. Featuring BAFTA winner James Cosmo (TV’s Game of Thrones, Braveheart), the killer-thriller focuses on a disillusioned young woman who becomes a serial killer targeting wealthy land-owners, forcing a brilliant detective to use his unusual neurological condition to track her down.